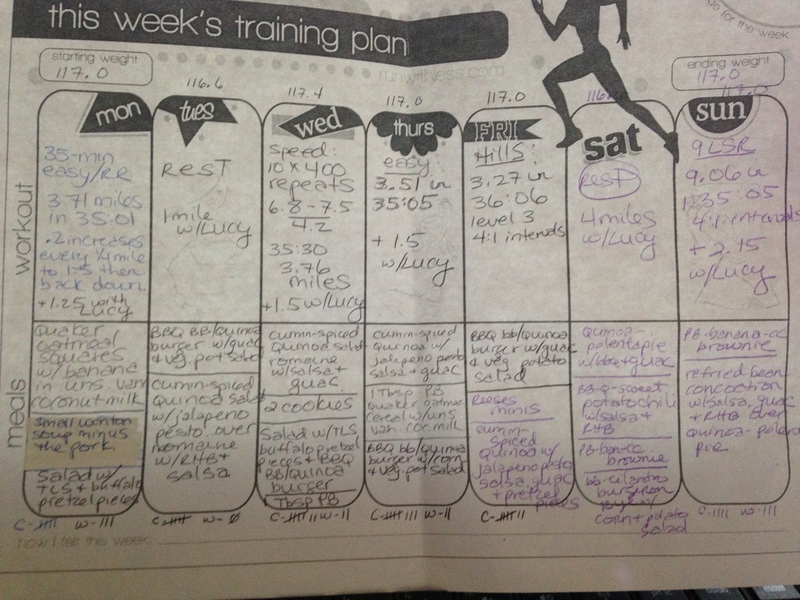 Week 6 HM Training Recap | (m)EAT LESS, RUN MORE! Tuesday: Rest or CT. Just walked Lucy – 1 mile. Sunday: 9 mile LSR. Did 9.06 in 1:35:05 doing 4:1 intervals. I stayed home and did this on the treadmill because I wasn’t sure how my tummy was going to be from all the experimenting I did in the kitchen yesterday. Ended up okay with no issues :) Plus 2.15 with Lucy. I definitely did not drink enough water this week, so I’ll continue to work on that next week. As for weight, I started the week at 117.0 and finished at 117.0 – how’s that for consistency?! 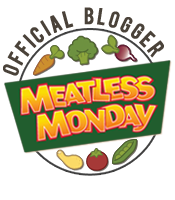 And because I spent so much time making recipes and experimenting in the kitchen on Saturday, I’m hoping to post a recipe tomorrow for Meatless Monday. I’m struggling with blisters right now, too. I’m only getting mine when I do my long runs, so I’m wondering if I need to get different socks. Right now I wear cotton socks because they are comfortable and cushion my feet, but I think I might need to get something that will keep my feet dryer, like dry-wick socks or something. OMG! You aren’t really wearing COTTON socks?! That is almost definitely why you have blisters!! Stop what you’re doing right now and go get some Thorlo, Swiftwick, or Balegas! They aren’t cheap, but I have found Balega Zulu’s on Amazon for a pretty good price. You’re so sweet! I’m almost afraid to post pictures because I don’t think they look appetizing at all, Lol!